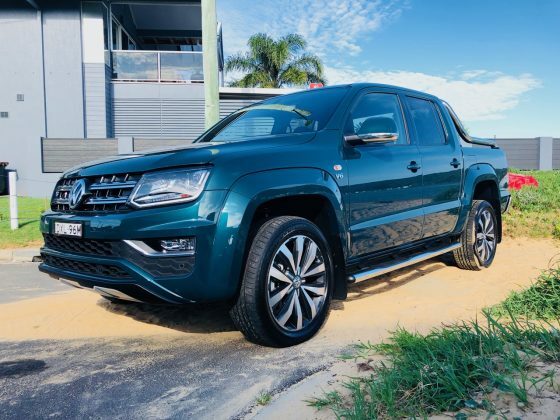 THE 2019 Volkswagen Amarok V6 Ultimate 580 is the most powerful factory built Amarok ever. But we ask the question, is it any good? Well, in short. Absolutely. It’s bold and rugged on the outside and classy and sophisticated on the inside. It’s a serious player in the dual cab ute space, and at its heart lies a truly beautiful power plant. Boasting 580Nm of torque and 200kW of power on over-boost, it’s definitely one impressive truck. The power is delivered smoothly through an 8-speed automatic transmission, which features sport mode or manual gear selection through a tiny set of paddle shifters on the steering wheel. Now when we say smooth, we are talking Barry White performing live on your wedding anniversary dinner kind of smooth. The power application to the road is effortless and feels more like a turbo sedan rather than an AWD ute. 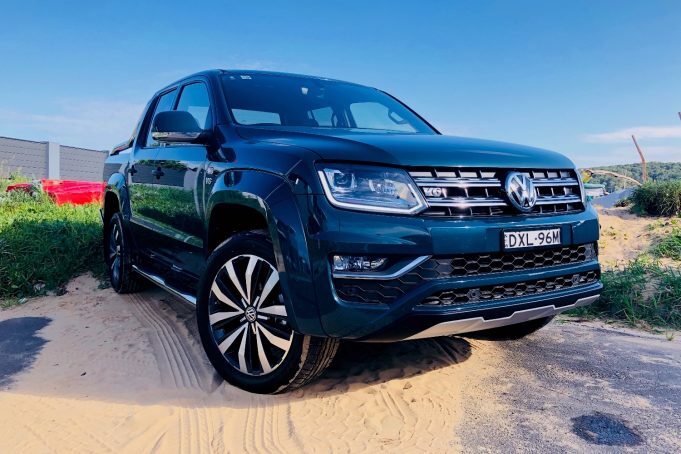 The 580 delivers an additional 25kW more standard power over its Amarok V6 siblings, with the Core, Sportline and Highline all offering 165kW (180kW on over-boost). This is compared to 190kW (200kW on over-boost) for the Ultimate. Translation; 0-100km/h in 7.9 seconds versus a thumping 7.3 seconds from the 580 Ultimate. Braking is handled through front and rear ventilated disc brakes. 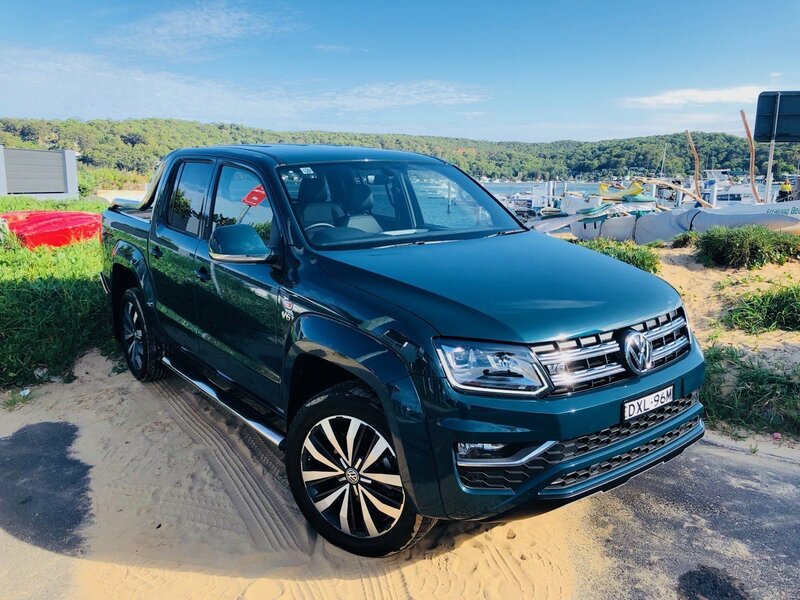 They work really well and pull up the big Amarok more than adequately, and for those wondering, it does indeed have a 3.5 tonne towing capacity. It’s not too thirsty a beast either. VW Australia claims a combined fuel consumption of 8.9-litres/100km, while in real world testing we managed a 9.6-litres/100km in and around the city, and 8.5-litres when cruising the open road. That does of course depend on whether or not you could resist the urge to put your right foot to the floor and enjoy all the power on offer from the Ultimate 580. Driving aside, it certainly looks the business too. Our test vehicle was supplied in Peacock Green Metallic, and matched with a stylish chrome sports bar that runs the sides of the ute tray, along with schmick looking chrome sidesteps. The real eye catcher though are the stunning 20-inch Talca chrome rims. Wrapped in 255/50 R20 Bridgestone rubber, the tyre/rim combo is first class, and offers great grip, feel and low road noise. For the record, the 580 also comes in Candy White, Tornado Red, Indium Grey Metallic, Ravenna Blue, Reflex Silver and Deep Black Pearl. You can even choose to have your Amarok V6 Ultimate 580 in a matte finish, available in Ravenna Blue or Indium Grey for an additional cost. The Bi Xenon head lamps light up the road well at night too, as well as adding to the tough look of the Amarok front end. Daytime running lamps are also included in the lighting package and like most things on this ute, work well with a minimum of fuss. The illuminated side steps are a nice touch that makes the Ultimate edition feel that little bit more exclusive. It has a 5-star ANCAP safety rating and comes with off road ABS, trailer stabilisation, a multi-collision braking system, and electronic stabilisation. Now while that’s all very nice, they’ve forgotten blind spot monitoring and lane keep assist. These last two, the missing ones, should quite frankly be standard on any vehicle in this price bracket. You are after all paying a minimum of $78,566 drive away, but are more realistically going to shell out $80-85K with a few necessary add-ons. Inside, the Ultimate 580 features a 6-speaker stereo which pumps out the tunes quiet admirably. Sound quality and radio range are outstanding. But, and there is always a but, the SatNav is well, average at best, and that’s us being nice. We drove our test vehicle in the Sydney CBD and it struggled to find itself let alone provide navigation. It’s disappointing but there’s always the fall back of Apple CarPlay and Android Auto and their built in or app based mapping systems. We’d like to see a larger display screen here too, it’s pretty small, especially given this is the top of the range. There’s also still no key-less ignition, and you really do have to start it with a key. 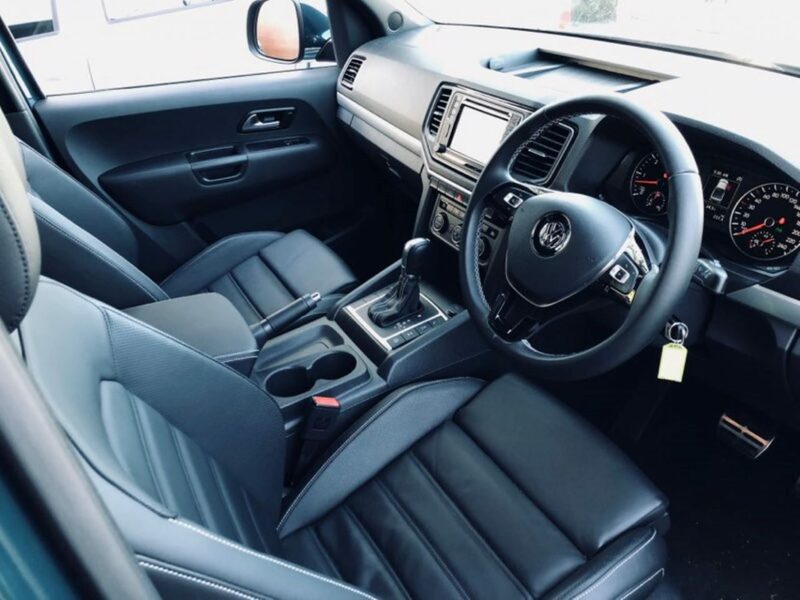 Black Napa leather covers the front and rear seats, with the fronts featuring 14-way electric control and heating, while the steering wheel is also wrapped in black leather and feels really good to the touch while driving. The cabin is roomy up front and there’s a reasonable amount of rear room width wise; but don’t expect any miracles in the knee room stakes. It’s not great but you won’t climb out feeling crushed providing you’re not too tall. It does however feels quality inside, with a very well finished cabin space, and the 4Motion AWD dual cab Amarok V6 Ultimate 580 now comes with a 5-year unlimited kilometre warranty. The new longer warranty is an added bonus in Volkswagen’s fight against a competitor list that includes the Mercedes-Benz X-Class, thanks to its premium price tag, as well as premium power utes like the Ford Raptor, Ram Trucks 1500 and HSV Colorado SportsCat. Our test vehicle was supplied by Volkswagen Australia. To find out more about the 2019 Volkswagen Amarok V6 Ultimate 580, contact your local Volkswagen dealer. Pros - awesome power; great build quality; 5-year warranty. Cons - poor SatNav; no key-less ignition; high price.